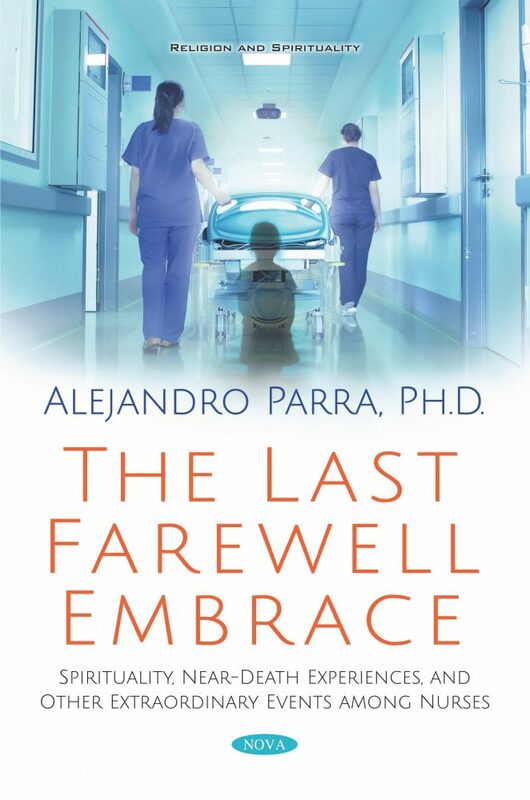 The author summarizes the conclusions of dozens of unexplained experiences, such as visions people have reported when they are about to die, near-death experiences, and patients who have recovered suddenly and completely from illnesses after a religious intervention. Nurses have also often had their own experiences in the hospital context, such as seeing apparitions, noting significant “coincidences,” seeing energy fields, lights, or “electric shocks” around or even emitted from a hospitalized patient. Other such experiences include observing anomalous behavior in animals, noticing the anomalous functioning of equipment or medical instruments, intuitively “knowing” the nature of a patient’s illness, or when he or she will die, and having unexpected experiences in intensive care units, neonatology areas, or pediatric or neuropsychiatric services. Other nurses, who may not have had such experiences of their own, have heard about them from reliable sources who have told them about these events. Clearly, there are a large number of unusual experiences as reported by doctors, caregivers, and nurses, sometimes in relation to hospitalized patients. Although many professionals have themselves been witness to inexplicable events, very few efforts have been made to organize the narrations of these events in a rigorous and detailed manner. It is important that nurses, as well as physicians, be informed about how to respond to patients who have such experiences. This work, therefore, serves as a guide in the exploration of these impressive stories and extraordinary experiences that have come to light. Audience: General public. Attractive for people interested in spiritual topics, new age, survival after death and so on.